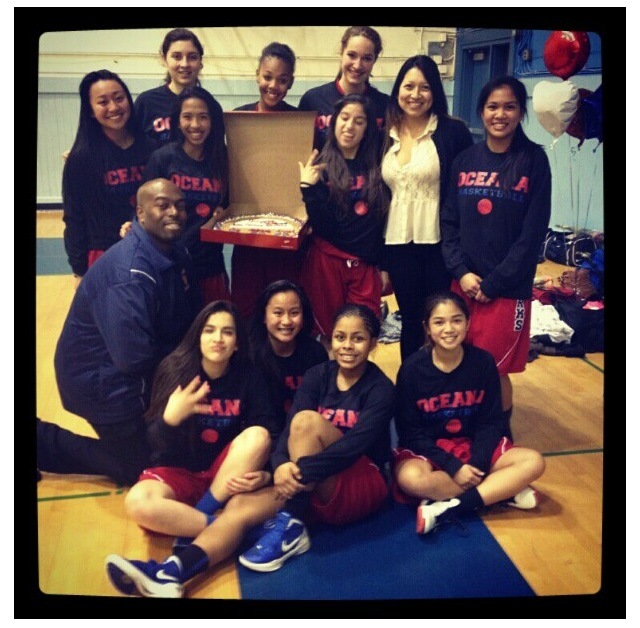 Friday, February 1st was a very special night for the Senior Lady sharks. They played an intense game against their rival team, the Terra Nova Tigers. It was also Senior Night which is a big deal for the seniors that were playing at this event. Before the Varsity girls’ game started, Athletic Director Ms.Corgas went up to the microphone to start the Ceremony. Ms.Corgas called up one at a time all the seniors on the girls Varsity team. The girls walked up to the center of the gym, where they were met by their families and friends with flowers and balloons. This is the last year the senior girls will be playing as Lady Sharks. It has been a long journey for many and although Clay has only been playing for two years, she says “It is very bittersweet. I am really going to miss my Lady Sharks.” The Oceana Lady Sharks are not only a team, but through their wins and losses, they have become a family. On Friday, February 1st the varsity boys took on Terra Nova in a brutal rival game on Senior Night. Senior night is a special night because family and friends get together to support the team, especially the seniors who will be playing on a high school basketball for the last time. It’s a sentimental moment when family and friends watch the team put up a fight and not give up. “I was glad that my family came to my game and supported me” said Senior guard Anthony Perez. However, this game wasn’t what the seniors expected it to be. The seniors thought they would maintain a close score throughout the whole game. But the seniors were nervous from the beginning. “I was pretty nervous during the game because my parents were watching, it was the first time they ever watched my game in my life and I have been playing basketball for 11 years. 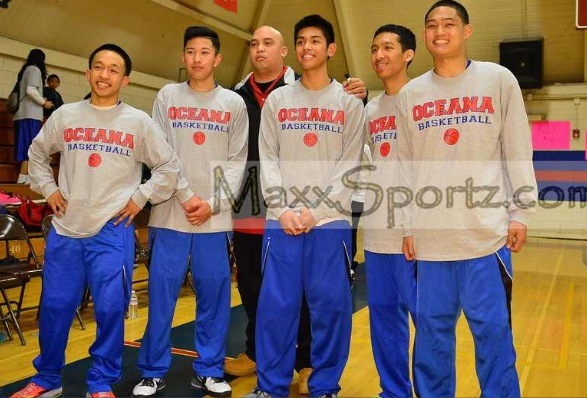 I was glad they took their time to watch my game” said by senior guard Daryl Panganiban. The seniors wanted to win this game very badly because it was their night to play for their loved ones. Unfortunately, they ended up losing with a score of 70-24. At the end of the game, the seniors walked out the gym with their heads down because they thought they let everybody down.